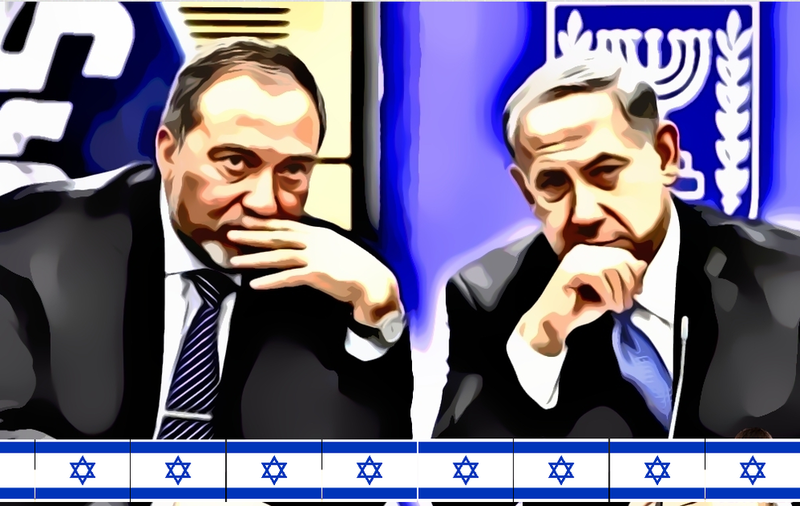 Israel - Will Lieberman Departure Topple PM Netanyahu? Israeli Defense Minister Avigdor Lieberman announced his resignation from the conservative coalition government of Prime Minister Benjamin Netanyahu. He does so in protest against the ceasefire in Gaza. The survival of the Israeli government, therefore, becomes very precarious. The rightwing Mr. Lieberman said: "500 rockets were fired on Israel's south and the response was not sufficient and not appropriate. We’re buying short-term quiet, with the price being severe long-term damage to national security." Lieberman called the indirect agreement that Israel concluded (as a result of Egyptian mediation) with the Islamic Hamas movement "a surrender to terror." He called on the other parties within the government to hold new elections as soon as possible. He said the policy of the Israeli government on the Palestinian issue "weak." With the dismissal of Lieberman from the Knesset (the Israeli parliament), it means that the five seats of his right-wing nationalist party Yisrael Beiteinu (Israel our house) move to the opposition. The government of Prime Minister Netanyahu therefore only has the smallest possible majority now, 61 seats of a possible 120. The cease-fire was unilaterally announced on Tuesday evening by Hamas and other militant Palestinian organizations in Gaza. It followed an escalation of the conflict in which Palestinian missiles were answered with Israeli air raids. According to the Israeli media, the government asked the army to show restraint. Related coverage: <a href="http://thegoldwater.com/news/42186-Israel-Violence-Flares-Up-As-Hamas-Fires-300-Rockets-Video"> Israel Violence Flares Up As Hamas Fires 300 Rockets (Video)</a>. Hamas calls the dismissal of Lieberman 'a political victory' for Gaza. According to the movement, the coastal strip has succeeded in shaking Israeli politics because of its resistance. Lieberman was Minister of Defense since May 2016. He is a controversial figure in Israeli politics due to his anti-Arab rhetoric. The Netanyahu government will stay on until November 2019 without early elections.